MANILA, Philippines — The Lakas – Christian Muslim Democrats is likely to field Senator Ramon “Bong” Revilla Jr. for presidency in 2016, its official said on Wednesday. House minority leader Danilo Suarez told reporters in a press conference that it was likely that they would push for Revilla to run for president in the next elections. “Remember, he has topped the senatorial elections. He’s also a pillar and a possible candidate,” said Suarez, the political party’s vice chairman. Revilla is currently Lakas’ president but his partymates are eyeing to tap Leyte Representative Ferdinand Martin Romualdez take over during the midterm elections. “We are grooming Martin to take over. 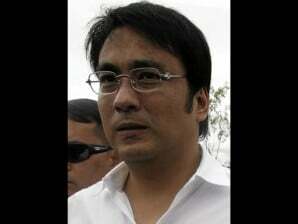 They will swap positions because he (Revilla) will have his hands full during the elections,” Suarez explained. The party’s meeting on Wednesday at the Manila Golf and Country Club in Forbes Park in Makati City was postponed for next week, he said. Part of the meeting’s agenda is their change in leadership. TAGS: 2016 presidential elections, Nation, News, Politics, Ramon Revilla Jr.